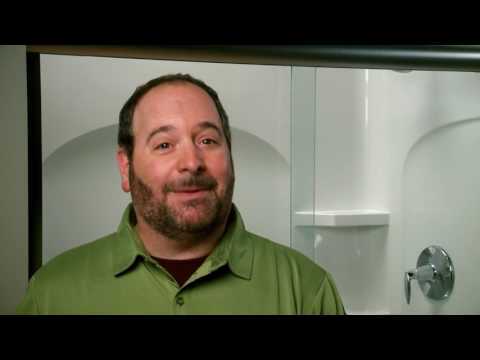 A great space-saver in small bathrooms, the Solitaire neo-angle shower door uses a unique corner design. CleanCoat(R) technology creates a barrier between the water and the glass to help keep the door looking like new. A great space-saver in small bathrooms, the Solitaire neo-angle shower door uses a unique corner design. CleanCoat© technology creates a barrier between the water and the glass to help keep the door looking like new.